[Review] XT Ekkamai - New Launch In Prime Ekkamai By Sansiri | Tokyu | Prices from 5.87MB | Register Now For Early Bird Discount | Download Floor Plan, Price List and E-Brochure. 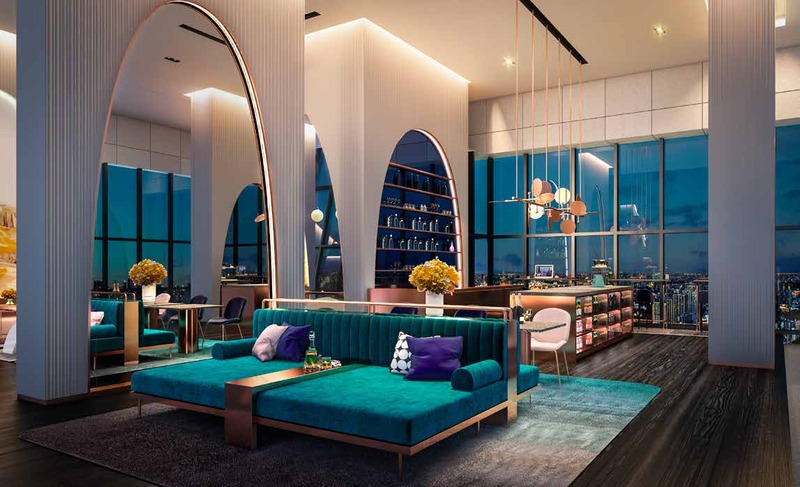 In this article, I would like to introduce you to a new upcoming launch by listed Thai developer Sansiri in a joint venture with Tokyu Corporation. This is not the first time they are working together. Taka HAUS Ekkamai 12 was a recent project launched by Sansiri and Tokyu jointly last year and Taka HAUS is already 95% sold. 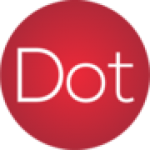 This upcoming new project has generated a lot of interests even before the official global launch on 7th July 2018. The name of the development is called XT Ekkamai. XT series is the first of it’s kind. The concept is created to target the Millenials. While the HAUS series comes with a resort concept, XT will very much cater to the Millenials’ active lifestyle. 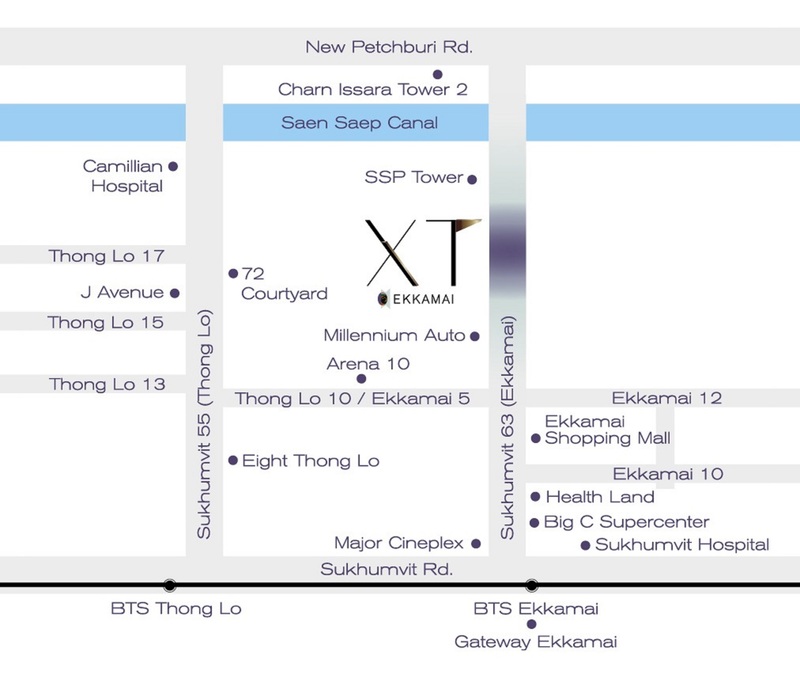 Located in the earlier parts of soi Ekkamai, staying in XT Ekkamai gives you access to a myriad of amenities. Shopping malls, schools, and hospitals are all easily accessible. And that is really the reason why so many people love staying in Ekkamai. The distance from XT Ekkamai to Ekkamai BTS is about 1.7km. If you refer to the map above again, you will see not too far away from XT Ekkamai, there is a pin drop for Donki Mall. Yes, this is the famous Japan discount chain store. We have 2 Donki outlets here in Singapore as well and it is super crowded every weekend. The Donki mall is already under construction. 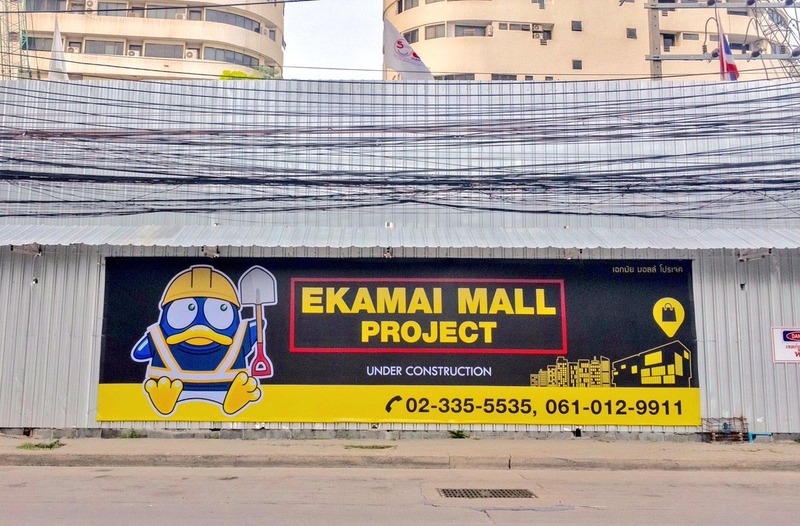 It will be an impressive 6-storey retail mall in Ekkamai 5 when completed. 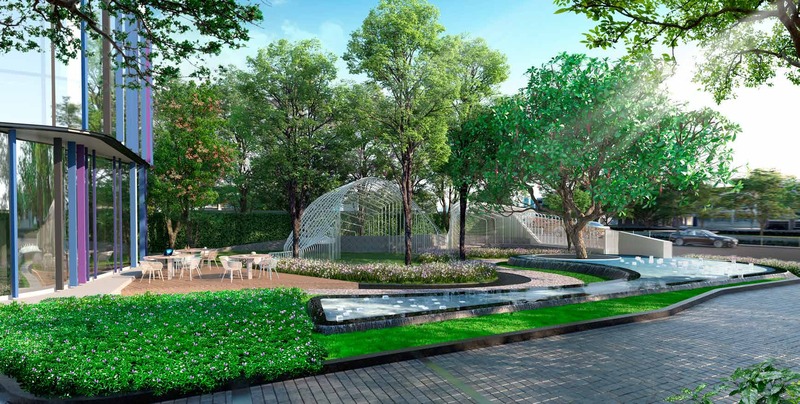 Xt Ekkamai by Sansiri is a freehold development. Standing at 38 levels high, it will consist of a total of 537 residential units and 1 retail shop. The units mix consist of 1 bedroom and 2 bedroom units. For 1 bedroom, sizes range from 29.75sqm to 38sqm. For 2 bedroom, sizes range from 45.50sqm to 57sqm. 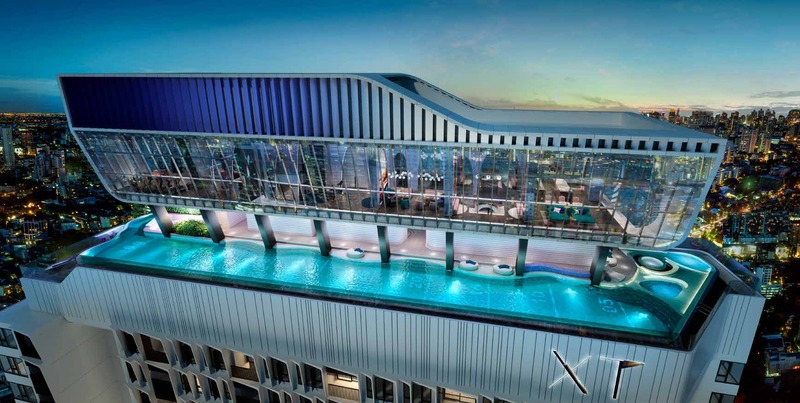 XT Ekkamai is expected to be completed by December 2020. 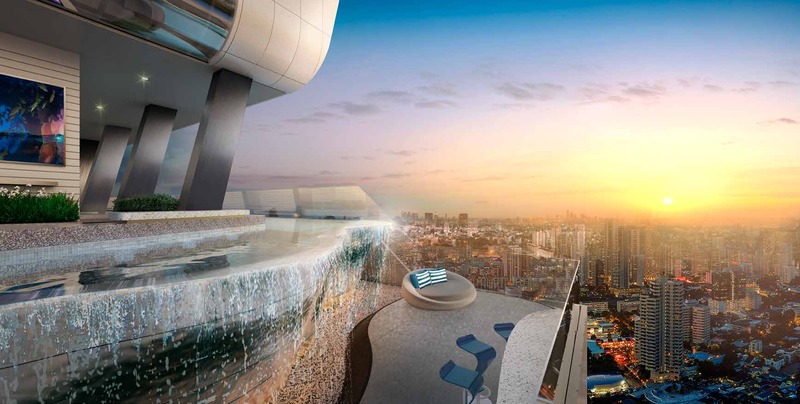 270-degree sky pool. Enjoy the lovely Bangkok’s night scene. Pushing the limitations with facilities that are truly out of the ordinary. 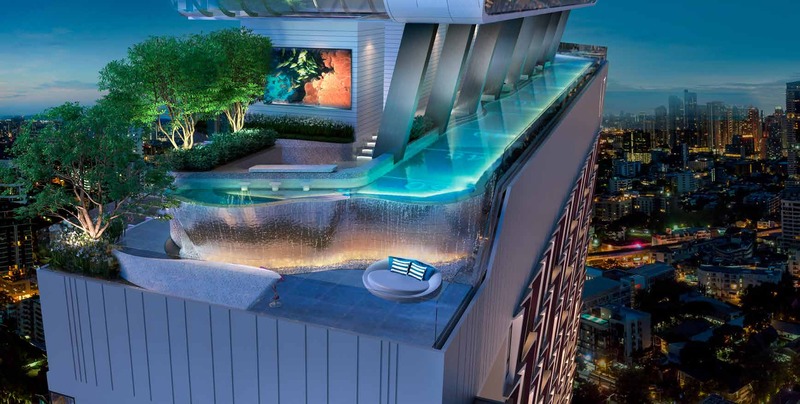 Sky lap pool with jacuzzi and poolside theatre. Awesomeness defined. No description required. Courtyard Garden for you to have your moments of solitude. This is no normal gym. 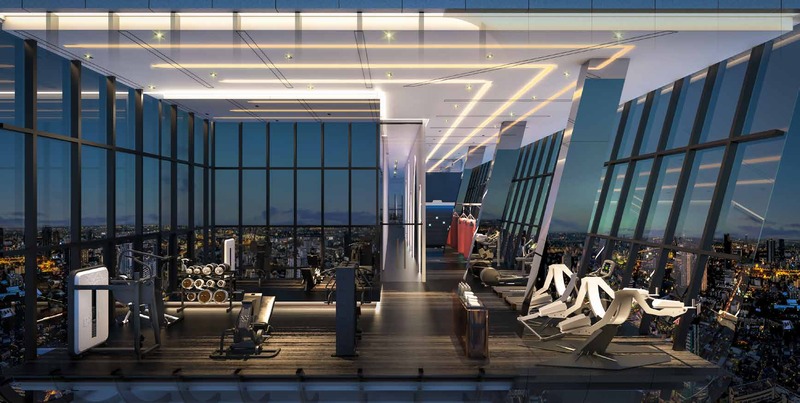 It is equipped with Virtual Reality technology to enhance your workout sessions. Look at that pool table. Bar and Lounge on 38th. The perfect space for an after-party. 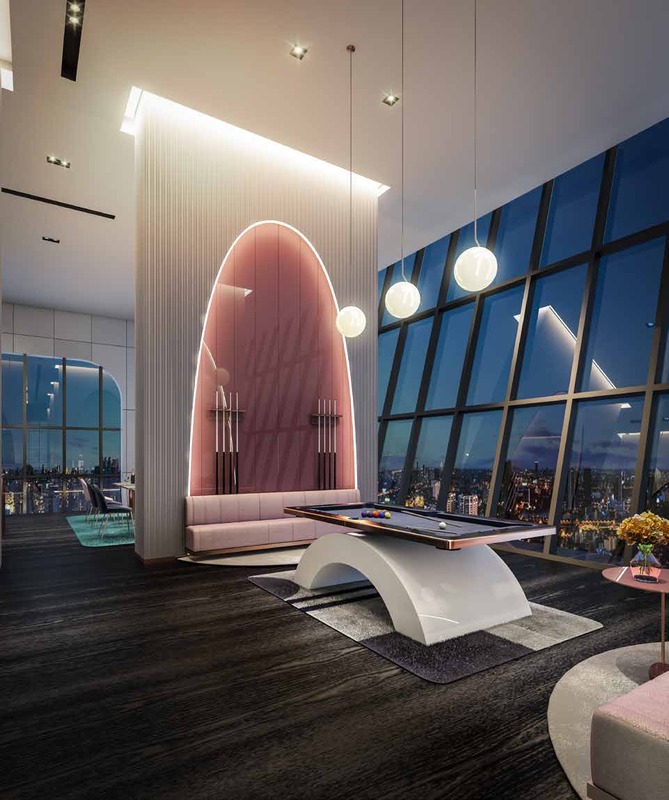 Proximity to social network and city resources, open floor plans, luxury kitchens, minimalist design, spa-like bathrooms, statement appliances, smart home technology, green building sustainability and bold use of colors. The Millenials have huge purchasing powers and the design world is taking notice of their preferences. Sansiri and Tokyu have moved first to capture this market with their launch of XT Ekkamai. 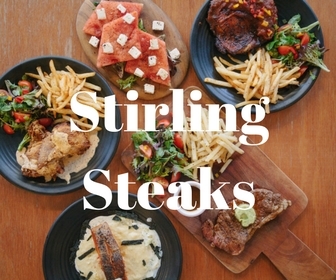 Buyers can book a unit currently and enjoy a 2% early bird discount. Prices start from THB5.87 mill for a 1 bedroom unit. 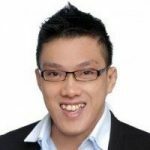 How to set up a Singapore company. A guide for foreigners.